It's a rare Wu-Tang solo album that doesn't bear the stamp of the collective's production mastermind, RZA, to some extent, and Raekwon's second full-length is no different. 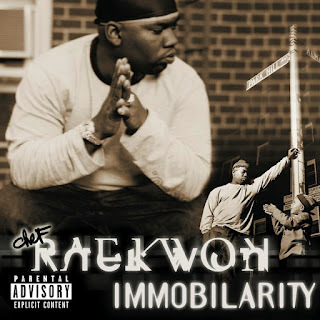 Except for the fact that RZA doesn't actually appear on Immobilarity, the paranoid synth-strings and soundtrack feel he pioneered on Wu-Tang's Enter the Wu-Tang: 36 Chambers and Forever are all over this album. The producers, including Raekwon's American Cream Team, Infinite Arkatechz, and Six July Productions, give Immobilarity the same sounds RZA gave to Raekwon's first album, Only Built 4 Cuban Linx. Though few rappers are more entitled to the sound than Raekwon, most of these songs just don't contribute to the lyrical concerns or delivery (a notable exception is "Sneakers," the only track produced by Pete Rock). And since the album's success depends wholly on Raekwon himself, it's almost impossible for him to trump the excellence of his first album.